WASHINGTON — As a House appropriations subcommittee gears up for a series of hearings this week on budget requests for science agencies, including NASA, the chairman of that subcommittee said he will not run for reelection because of health issues. 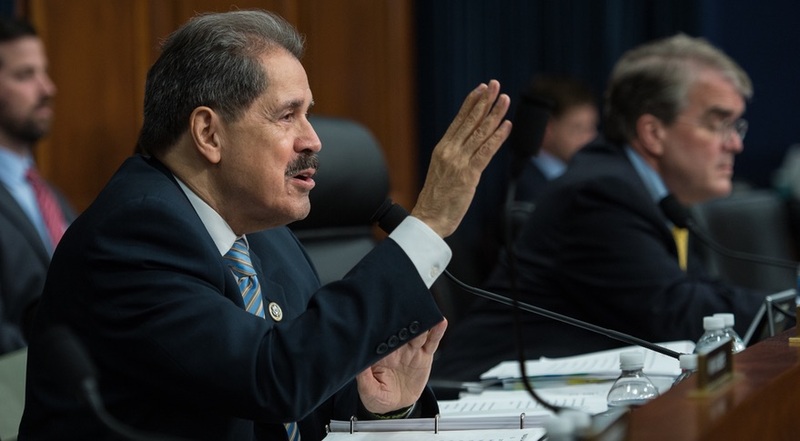 In a March 25 statement, Rep. José Serrano (D-N.Y.), chairman of the commerce, justice and science (CJS) subcommittee of the House Appropriations Committee, said he will serve out his current term but not seek reelection in 2020 after being diagnosed with Parkinson’s disease. Serrano said that he will use his chairmanship of the CJS appropriations subcommittee in his final term in office to support work such as climate change research, the topic of the first hearing of that subcommittee he chaired this year. Serrano, 75, has served in Congress since 1990. He became chairman of the CJS subcommittee after Democrats took control of Congress in the 2018 elections. He previously was the ranking member of the subcommittee when Republicans controlled the House. During that time, he was not active on space issues other than to speak out against proposed cuts to NASA education and Earth science programs in recent budget proposals by the administration. Serrano announced his retirement plans as his subcommittee was gearing up for a series of hearings this week on fiscal year 2020 budget proposals. That includes a March 27 hearing on NASA’s budget proposal, with Administrator Jim Bridenstine scheduled to testify. Earlier March 27, Serrano’s subcommittee will hold a hearing on NOAA’s budget request, with acting administrator Neil Jacobs scheduled to testify. A March 26 hearing will cover the budget request of the National Science Foundation with that agency’s director, France Córdova, scheduled to testify. The subcommittee will also take testimony from other members of the House in a “Member’s Day” hearing March 26, where some are expected to request additional funding for NASA’s Space Launch System and Orion programs. The same day as Serrano announced his intent to retire, the former chairman of the CJS subcommittee started a new job. The law firm Clark Hill announced March 25 that it hired former Rep. John Culberson (R-Texas) to its government and public affairs practice, supporting work in areas such as aerospace and defense. Culberson, who served for nearly two decades in the House, spent the last two terms as chairman of the CJS subcommittee, where he was a major supporter of NASA, including both its human spaceflight programs and robotic exploration, notably missions to Jupiter’s moon Europa. Culberson lost reelection last November. A week earlier, Culberson attended the 50th Lunar and Planetary Science Conference in Houston, sitting in on science presentations as well as a NASA town hall meeting. He said in an interview that, while no longer in position to directly influence funding for key agency programs like Europa Clipper and a follow-on lander, he was closely following them. “I’m going to have to keep my hand in the program in some form or fashion,” he said.